Property owners may arrange to personally hire a qualified contractor to perform work on city owned trees located on boulevards and in parks. The property owner must complete the attached "Agreement for Contractors to Perform Arboricultural Services on Trees Under the Control of the Urban Forestry Branch." You will be contacted within 10 working days to confirm whether or not the proposed work is approved. Work cannot proceed until the Urban Forestry Branch notifies the property owner that it is approved. Can a property owner prune, remove, or plant a tree themselves? No, the pruning, removal, and planting of trees is relatively high risk work that must be completed by qualified and insured experts (see the "Agreement for Contractors to Perform Arboricultural Services on Trees Under the Control of the Urban Forestry Branch"). Risks from improperly completed work include damage to property and injury to members of the public. Therefore, this type of work is not allowed except by a professional who has qualified with us. What qualifications are required for a contractor to maintain city-owned trees? All contractors must be licensed Manitoba Arborists, carry appropriate insurance, be covered by Worker's Compensation and provide evidence of an acceptable safety and health program. The contractors must pre-qualify with us before they are able to prune and remove trees. What type of pruning is acceptable? Pruning must be in accordance with the City of Winnipeg specifications included in the formal agreement. These standards follow the "ANSI A3000 Part 1-2001 Pruning Standards". The following pruning objectives must be followed: structural; cleaning; thinning; raising; and restoration. The "topping" of trees is not an acceptable pruning practice, and will not be approved. Yes, city-owned trees can be removed as long as the Urban Forestry Branch has approved the removal. The property owner must first apply, in writing, to the Urban Forestry Branch requesting a tree removal. The tree must be abutting the property. This letter must include the reasons why the tree is to be removed. Urban Forestry Branch staff will inspect the tree and determine whether or not the tree should be removed. If the removal is approved by the Urban Forestry Branch, the property owner may then complete the Agreement for Contractors to Perform Arboricultural Services on Trees Under the Control of the Urban Forestry Branch". 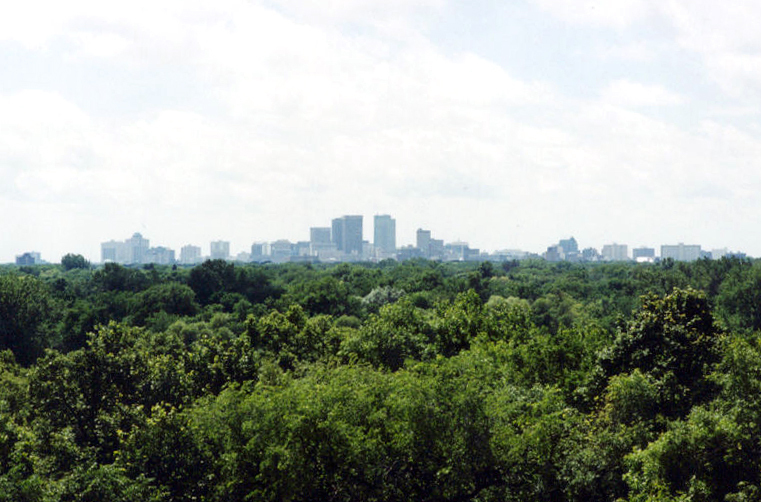 Can trees be planted on city-owned property? Yes, trees can be planted on city-owned property, however, the species and location must still be approved by the Urban Forestry Branch. Please add as much information as possible on Schedule D including the species of the tree, size of the tree stock to be planted and where will the tree be planted. A hand written diagram of the planting location is preferred. Once the agreement is completed, how long do I have to wait for Urban Forestry Branch approval? At this time, this agreement is a pilot project. Once the application is completed and returned to us, Urban Forestry Branch staff will make every effort to approve the proposed work within 7 - 10 working days. Work can commence once you have received our approval on the agreement. What if the work is not completed to the satisfaction of the Urban Forestry Branch staff? Urban Forestry Branch staff will inspect the work. If the work is not completed properly, the property owner will be requested to remedy the situation within 3 days. If the work is not completed to the satisfaction of the City, City of Winnipeg staff may complete the necessary work and may recover the costs incurred in a like manner as municipal taxes. What if the contractor damages other property? The property owner is responsible to ensure there is no damage to turf or other trees from the tree maintenance work. If there is damage, the property owner will be requested to remedy the situation within 3 days. If the work is not completed to the satisfaction of the City, City of Winnipeg may complete the necessary work and may recover the costs incurred in a like manner as municipal taxes. How do I find a qualified contractor? Where do I look? A number of contractors have pre-qualified to complete this work. Please see list of contractors above. Get references to find out where the company has done work similar to the work you are requesting. Check the references or visit other worksites where the company has done or is doing tree work. Get more than one estimate. When would the work be started and completed? Who will be responsible for clean-up? Is this the total price? What kind of costs am I looking at? Costs are variable depending on the type of work to be done. We recommend that you obtain estimates from 3 qualified contractors. Is there a list of tree species that the City recommends for planting? 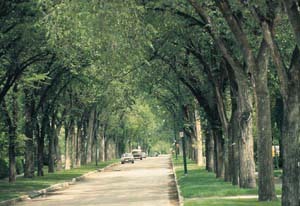 The Urban Forestry Branch maintains a list of recommended tree species for planting (click here for a list of tree species). Each site has specific growing conditions which should be considered for appropriate species selection. Species selection would be approved through the agreement. What kind of restrictions are there for the location of trees to be planted? There are various restrictions such as utility lines, underground infrastructure, intersections, traffic control signs and signals, and above- and below-ground growing space.